Reboot the computer into Safe Mode with Networking. Delete all Internet Explorer cache data from the Internet Options applet. Delete all Firefox cache data. Delete all Google Chrome cache data. Install Malwarebytes and update if prompted. Run a full system scan. 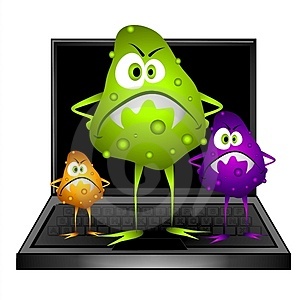 Launch the anti-virus program, update virus definitions, then run a full virus scan. Install Microsoft Security Essentials if there is no anti-virus app installed. Open Internet Options. Verify that the Proxy settings are not set. "Auto detect network settings". Do the same in Firefox. Open Add\Remove Programs. Remove all unncecessary software and toolbars. **STOP HERE! Only continue to the next steps if you are missing Start Menu shortcuts or are missing all files in My Documents. A New Creation from Joe – The IT Dashboard!